Overview: Over time the turbocharger inlet pipe (the one which attaches directly to the turbocharger compressor inlet housing) can become cracked. This is actually quite common. The deterioration generally starts with hardening of the rubber allowing the rubber to crack especially around the lower section where the clamp goes around the turbocharger intake. As you can imagine a cracked intake pipe allows air and debris to be sucked directly into the turbocharger and engine bypassing the vehicles filtration system. 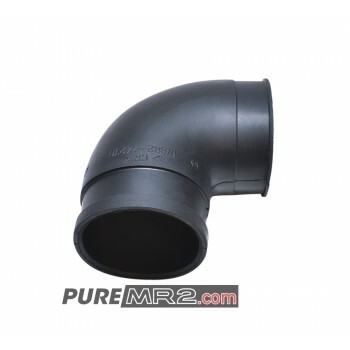 Suitability: This 3SGTE turbocharger inlet pipe will suit all MR2 3sgte engines from November 1993 onward. 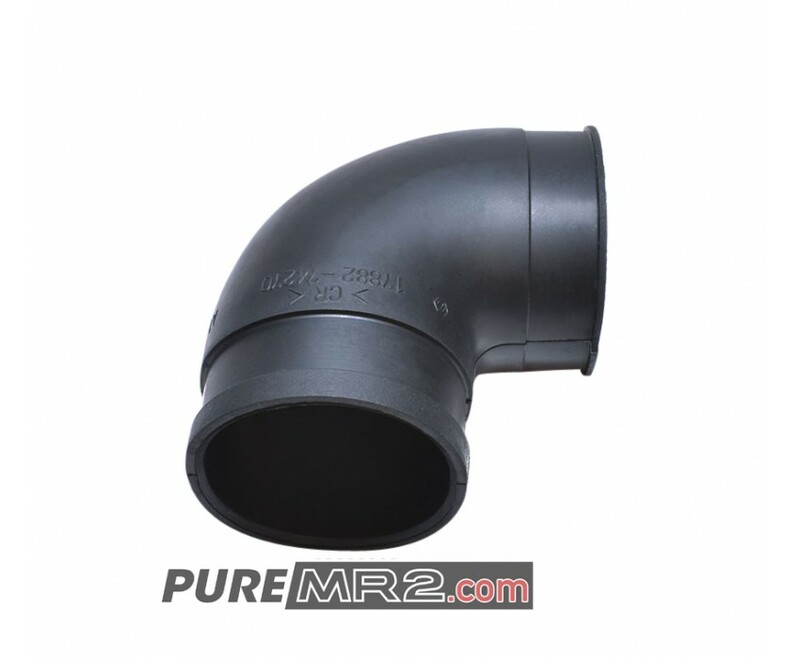 If you require a earlier CT26 turbocharger intake pipe we also stock these, please see our related products section below. Overview: Over time the turbocharger inlet pipe (the one which attaches directly to the turbocharger..